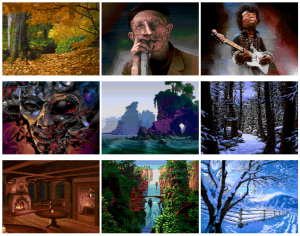 RastaConverter by Jakub ‘Ilmenit’ Debski is a command line tools for M$ Windows/Linux to convert and optimize images for use with the Atari 8 Bit computers. CBM prg Studio Version 2.4.0 is released. There are a lot of new features in this version. I’d really appreciate it if you report any bugs you find or have any suggestions/comments. CBM prg Studio allows you to type a BASIC or Machine Code program in using a nice Windows environment and convert it to a ‘.prg’ file which you can run on an emulator, or even a real C64 or VIC20 if you’re feeling brave and have the right kit. Screen designer and character editor extended to use the C16 and Plus/4′s larger colour palette. Build can now be cancelled. Auto-completion added (labels, variables and macros) for assembly programs. Column selection in code editor. Loading char/screen/sprite files from the project explorer when the file has been moved/deleted. Start page crash for missing/moved projects/files. 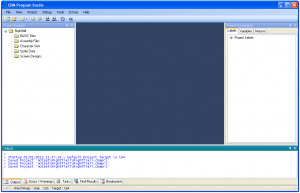 Screen Code Builder:cbm+numerics only works with mouse on virtual keyboard. Project open/save crash if project explorer window closed. Project tick in view menu occasionally missing. Occasional crash when opening sprite file in new project. Selected memory in viewer should fill in start end address in save. End address of selected memory in viewer was sometimes wrong. 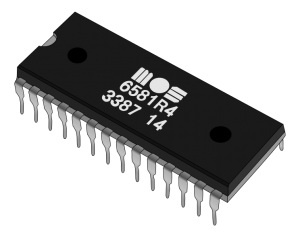 Removed start address from basic programs generated to memory. Certain instructions not being optimised (zero page) properly. Tidied up the label dump after a build. Long labels were being bunched up. Unique Client-Server multiplayer mode. Runs great in low-latency networks such as LANs. Cheat and turn off Collisions. Finally discover the ending of River Raid! Complete Save State/Load State functions. Multiplayer mode controls in UI. Start Client/Server sessions directly in Settings window. 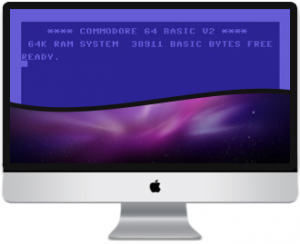 VirtualC64 emulates a Commodore 64 personal computer on your Intel Macintosh OSx > 10.6. I wrote the software with two major goals in mind. First, I wanted to create an emulator that can be used as a demonstrator program in a first year or second year course on computer engineering. To achieve this goal, I have integrated various debugging capabilities that let you peek inside the CPU, RAM, ROM, or one of the custom chips. 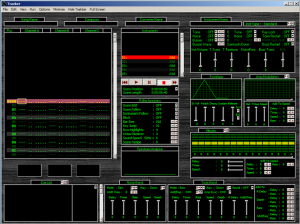 Second, I tried to make the emulator as user friendly as it can get. In short: VirtualC64 tries to combine the ongoing fascination of the ancient Commodore computers with the great user experience of today’s Macs. Removed old fullscreen mode which frequently crashed on lion machines. Created VLC plugin (SAP format only). UTF-8 encoding is supported for STIL. Author is no longer hidden in the converted XEX files. Winamp plugin opens ATR disk images and plays files inside them. Audacious plugin updated to Audacious 3.2 and compiled for Windows. BASS add-on updated to be compatible with AIMP 3 (SAP format only). Enabled title/author/year in the BASS add-on (only selected BASS-based players use it, for example EncoreBassing). Windows Media Player codec supports subsongs, AUTHOR and NAME (this works at least with Media Player Classic Home Cinema). New TortoiseSVN and TortoiseGit plugins show changes in SAP tags. 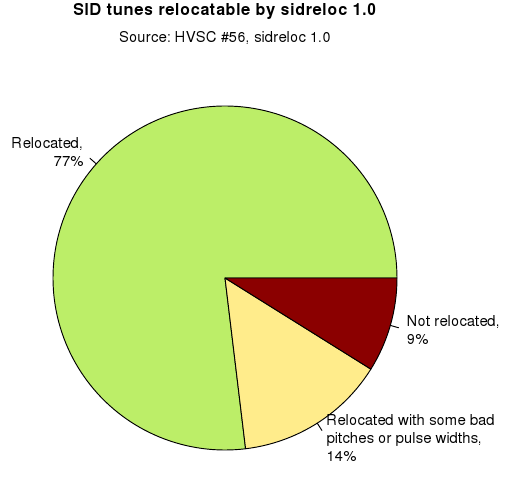 SID Known is a command line tool (M$ Windows) which you can use to identify SID tunes from SID and PRG files. This tool can be used if e.g. you want to know which SID tune is used in a specific C64 demo or C64 game, or you have a SID tune found or ripped and you want to know if it is already in your SID collection. EasyFlash Cart Builder is a M$ Windows tool for linking files together into an EasyFlash cartridge. 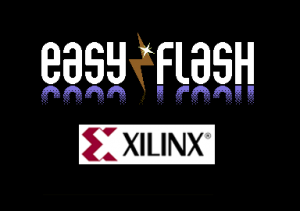 This is the first release of the EasyFlash Cart Builder. 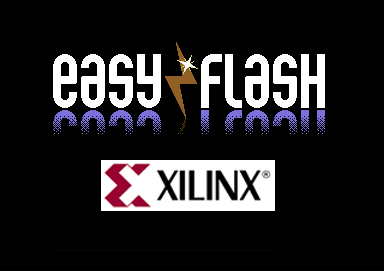 This release is capable of building a valid EasyFlash cartridge image that utilizes both EasyAPI and EasyFS. Cartridges are define in an XML file format. Each cartridge must define a boot image which must be a 16K Ultimax cart image. If you want EasyAPI included in your archive you need to include the standard EAPI marker at offset $3800 of your boot image. 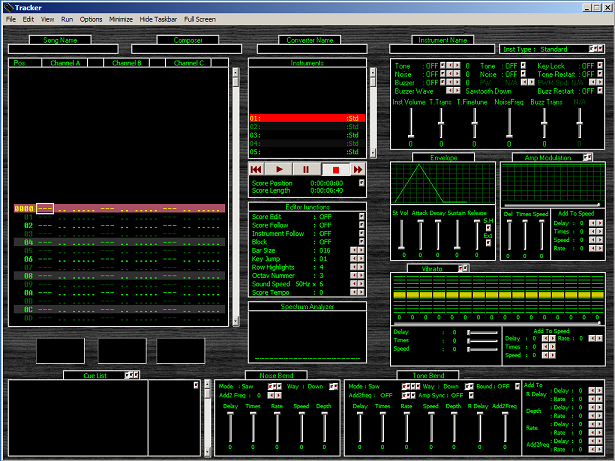 Peter Jørgensen has released a new Beta version of his YM-2149 Tracker for M$ Windows. 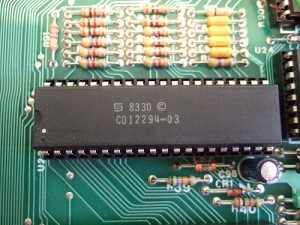 The sound chip YM-2149 is used in Atari ST/E/Falcon series. Invert Vibrato for synth wave. i found 3 bugs in the tone-bend routine. and i have also change 2 of the functions in the program. 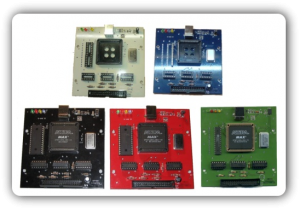 8 emulated disk drives with support for 512 bytes per sector disk images. High speed operation up to 6 times faster than the normal speed. 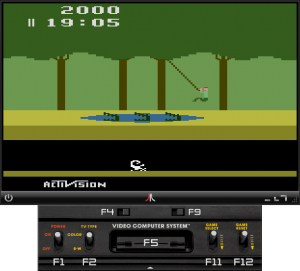 Ability to run Atari executables without messing with disk images and DOSes. While the tool is SID specific, the fundamental algorithm could easily be adapted to relocate all sorts of 6510/6502 machine code that meets a couple of requirements (see “Observations” below). Sidreloc is primarily a linux program, but it’s open source (MIT license) and you are encouraged to port it to different operating systems. Good patches will be merged into the official version. 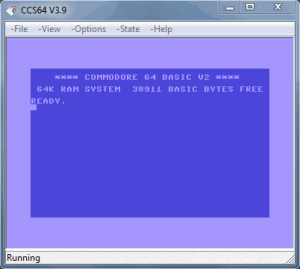 CCS64 is a Commodore 64 Emulator for PC developed by Per Håkan Sundell. CCS64 is shareware. This means that the program is free to use and to copy, but if you like it and use it regularly I would appreciate that you would register the program. CBM prg Studio Version 2.3.0 is released. There are a lot of new features in this version. I’d really appreciate it if you report any bugs you find or have any suggestions/comments. Support for the C16 and Plus/4 machines. Undo/redo for character, sprite, and screen designers. 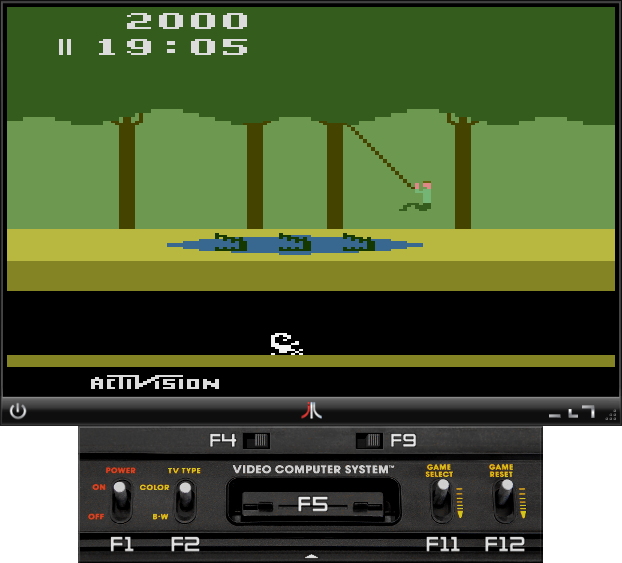 Screen designer added to C128 platform (40 column, c64 mode only). Commodore key (in screen designer) producing wrong code for certain colours. Occasional duplicate start address in new project wizard. Wrong link address for VIC 20 projects in generated SYS call. Renumbering programs with no destination line numbers after GOTO, GOSUB etc. Lowercase text not handled correctly by ‘text’ directive.